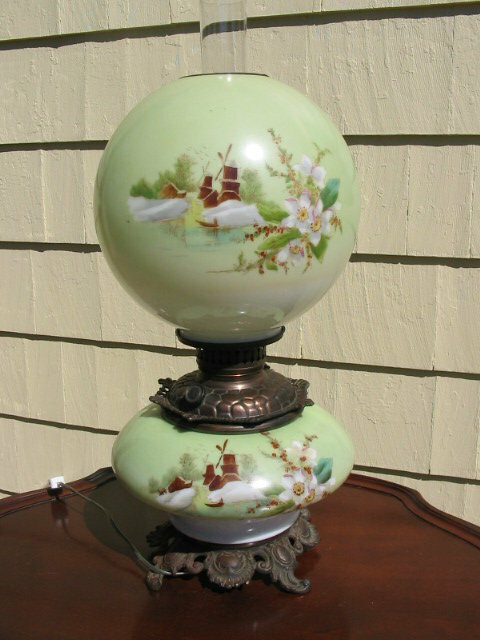 HERE IS A BEAUTIFUL AND UNUSUAL ANTIQUE HAND PAINTED GONE WITH THE WIND LAMP WITH TWO MOTIFS. IT HAS BEEN CONVERTED FROM KEROSENE AND HAS BEEN ELECTRIFIED. IT FEATURES A LOVELY FLORAL ARRANGEMENT ON ONE SIDE AND A PARADOXICAL WINTER WINDMILL SCENE JUXTAPOSED TO FLOWERS ON THE REVERSE SIDE. THE UPPER GLOBE SECTION WHICH HAS A BRASS RING LIGHTS UP. 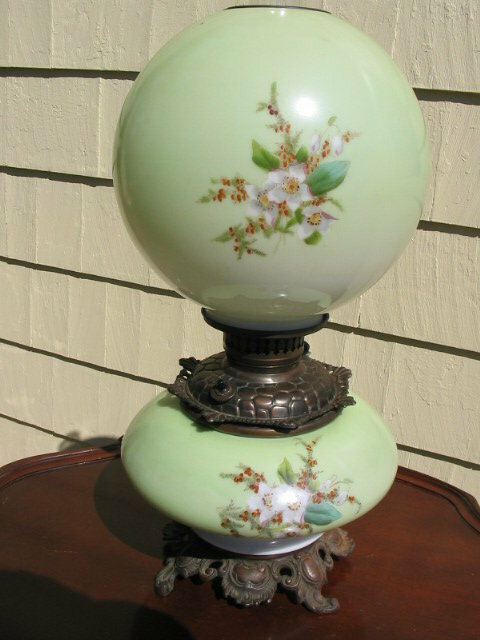 THE CONDITION OF THE PAINT ON THIS LAMP IS EXCELLENT AND CAN BE OBSERVED IN THE IMAGES. 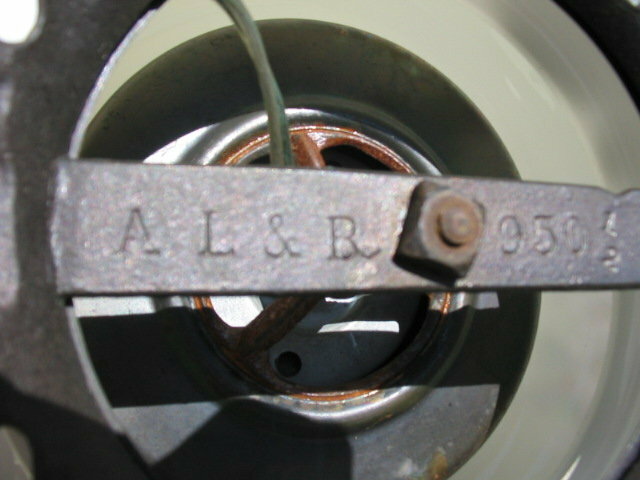 MADE BY THE AMERICAN LAMP AND BRASS COMPANY OF TRENTON N.J. ON THE BASE IS STAMPED A.L.& B. CO. #950. It measures 19" tall. 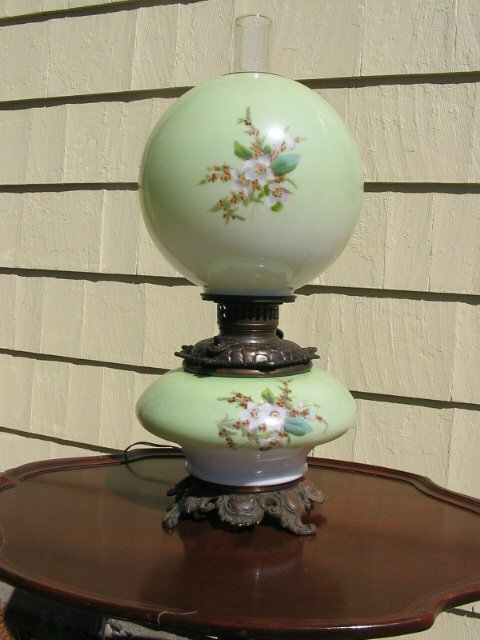 Items Similar To "ANTIQUE GONE WITH THE WIND LAMP"